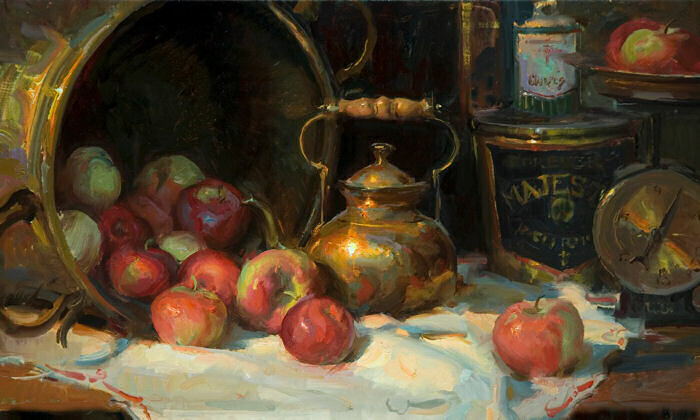 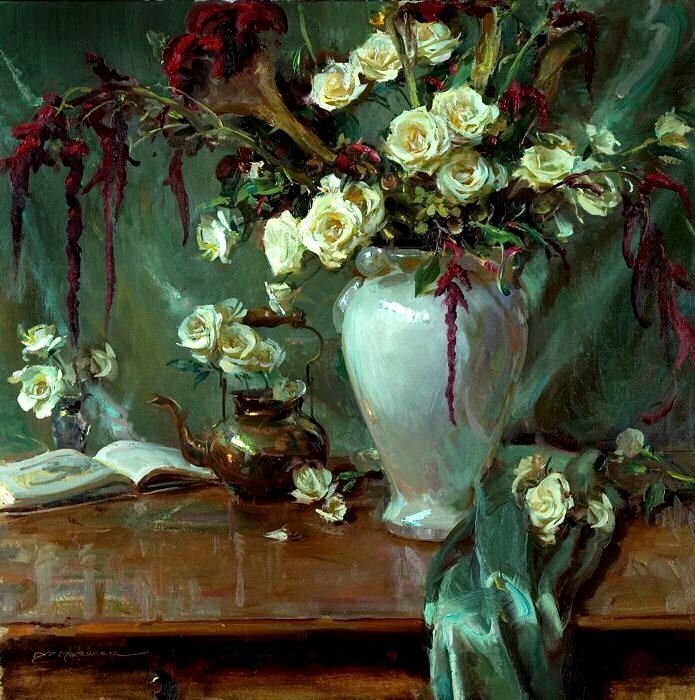 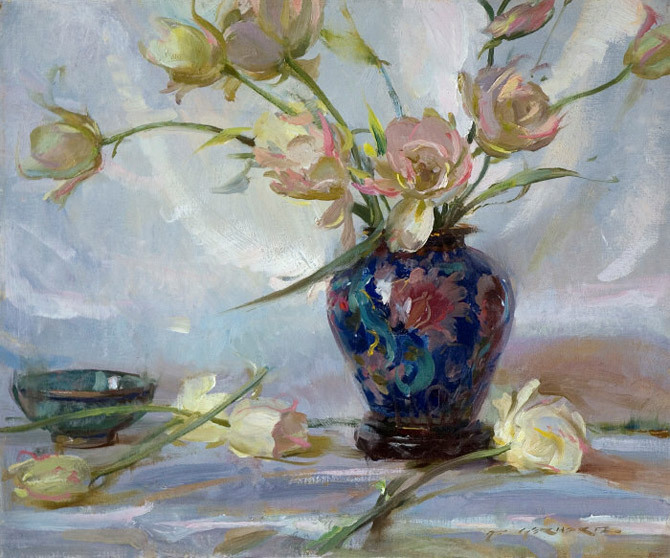 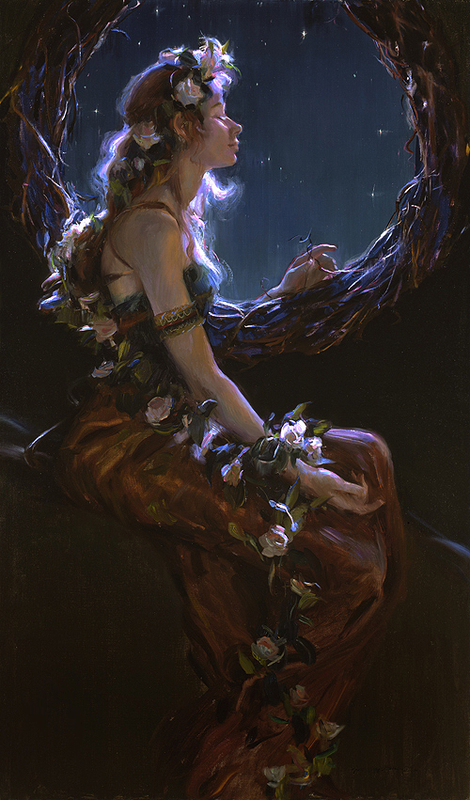 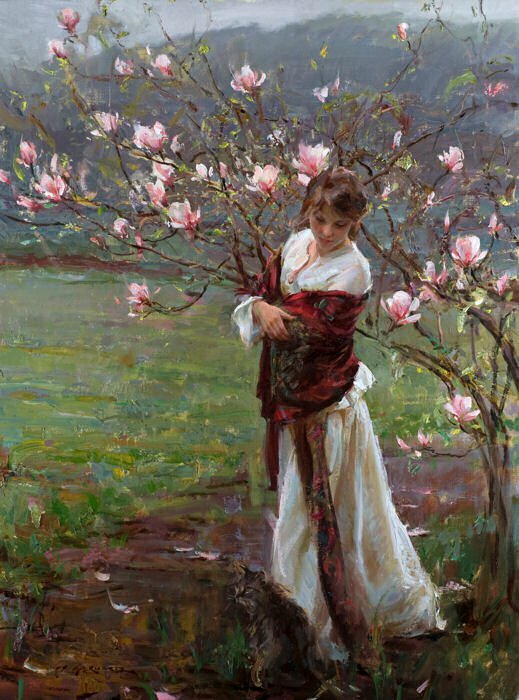 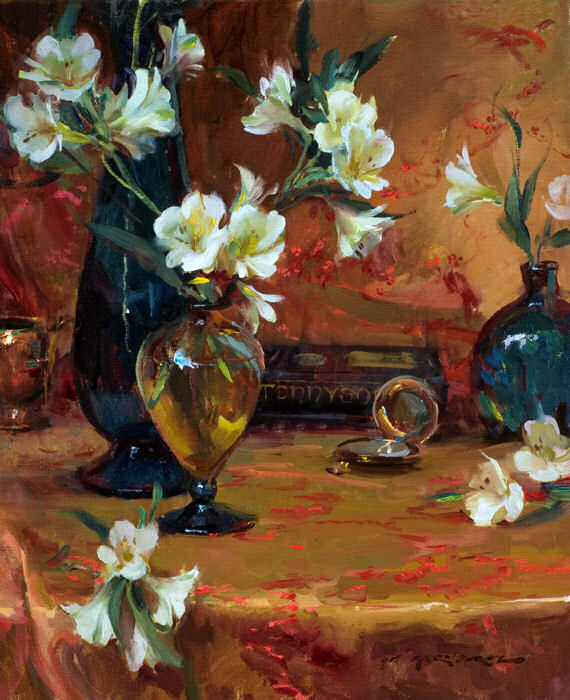 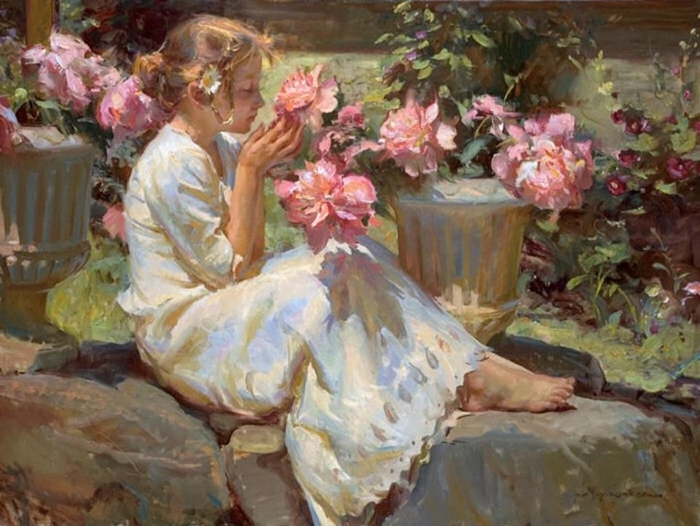 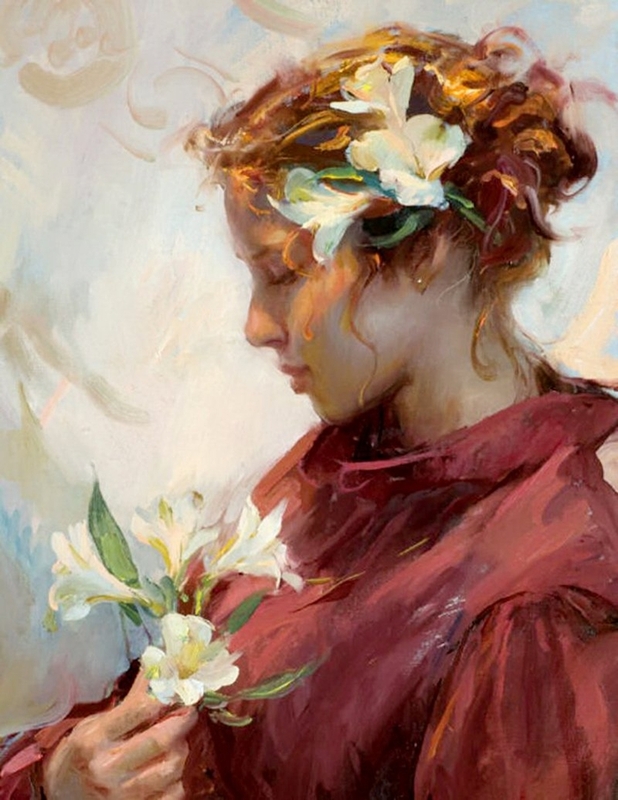 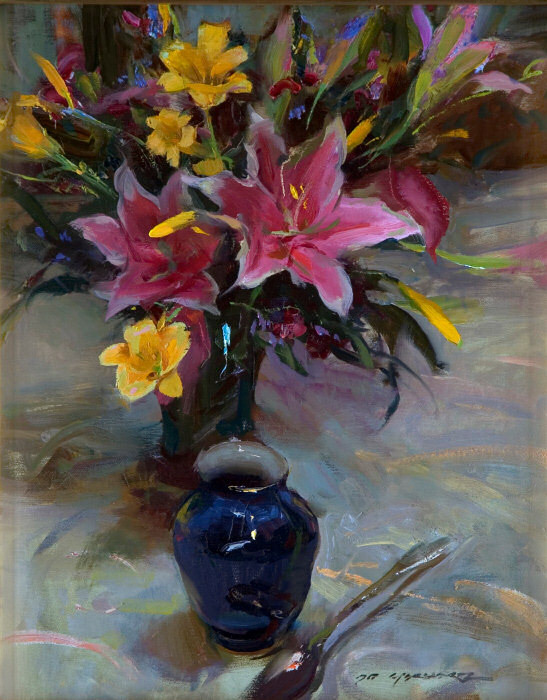 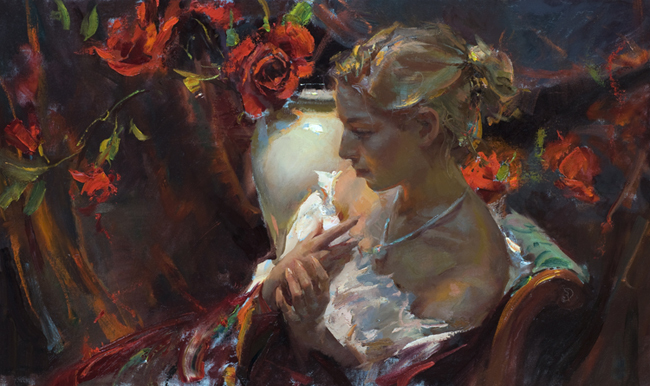 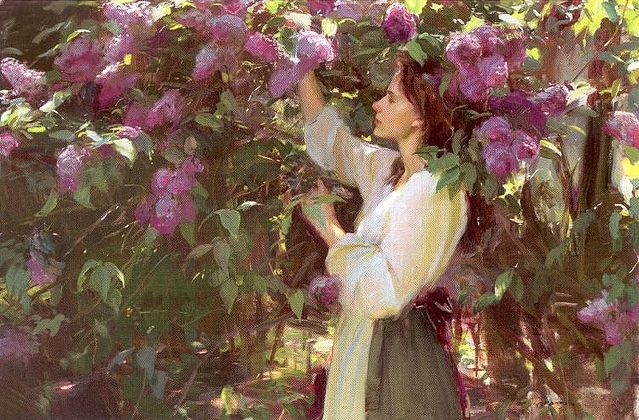 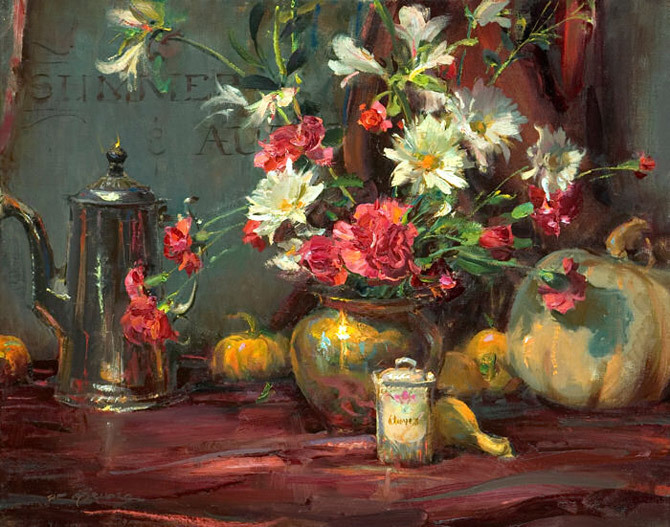 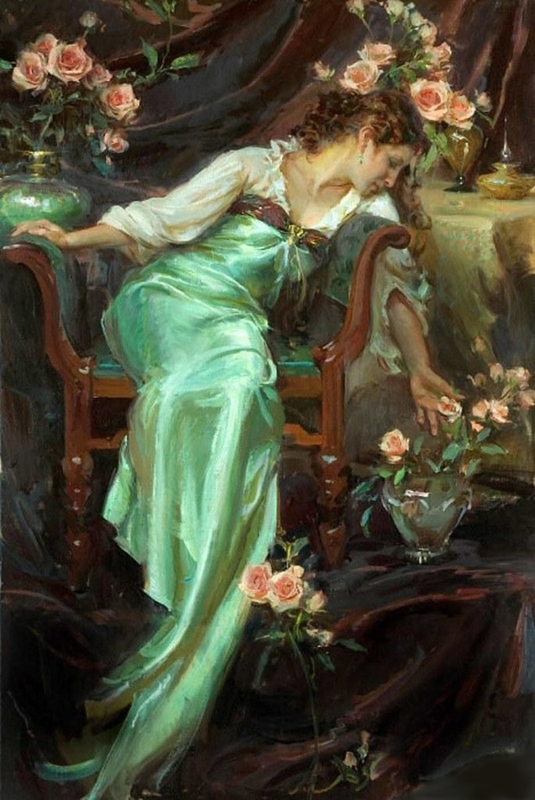 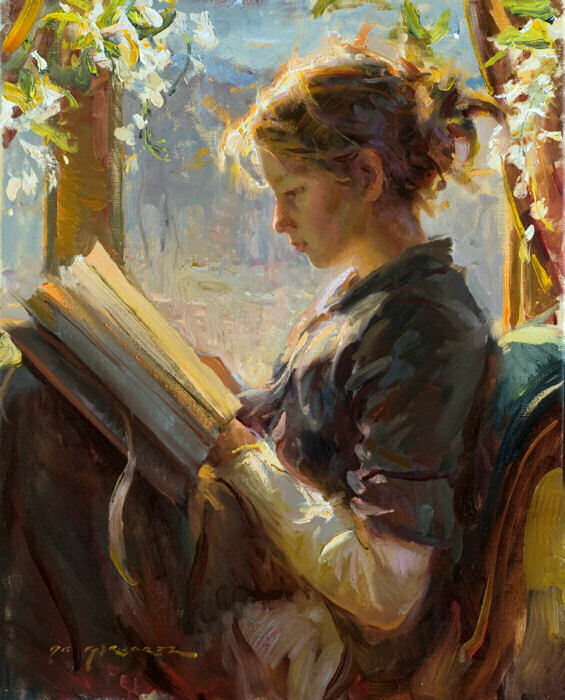 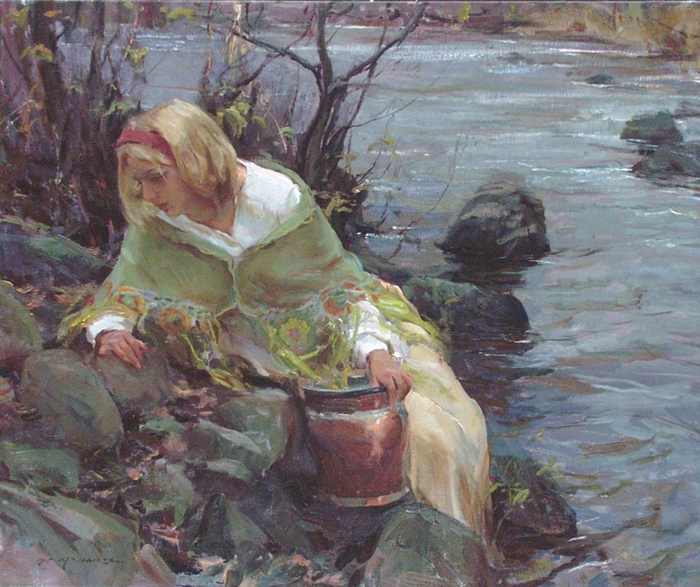 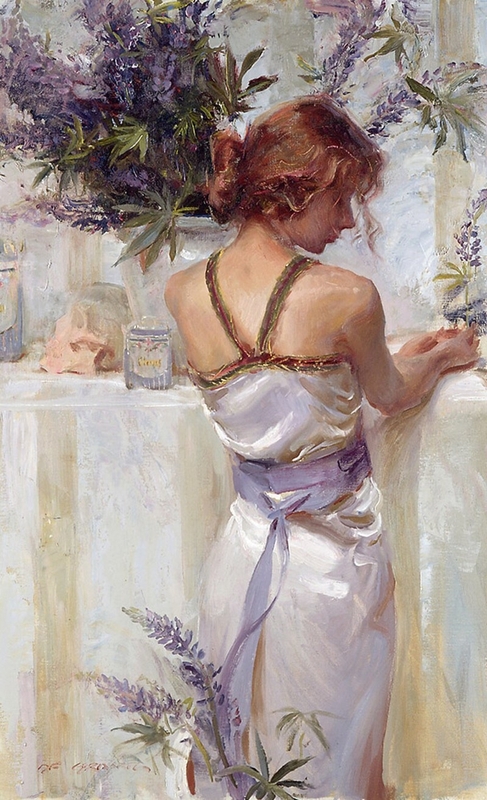 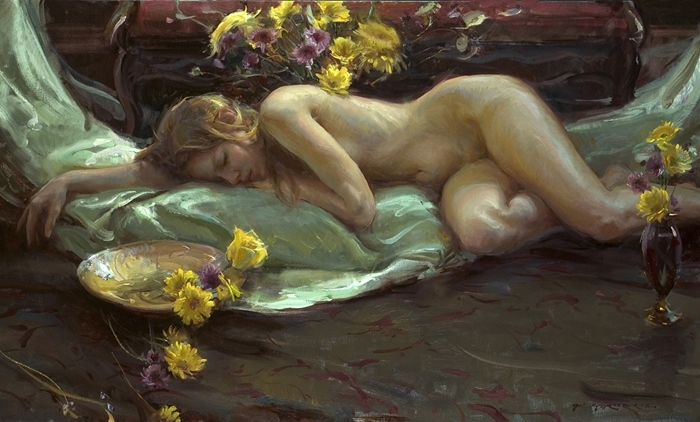 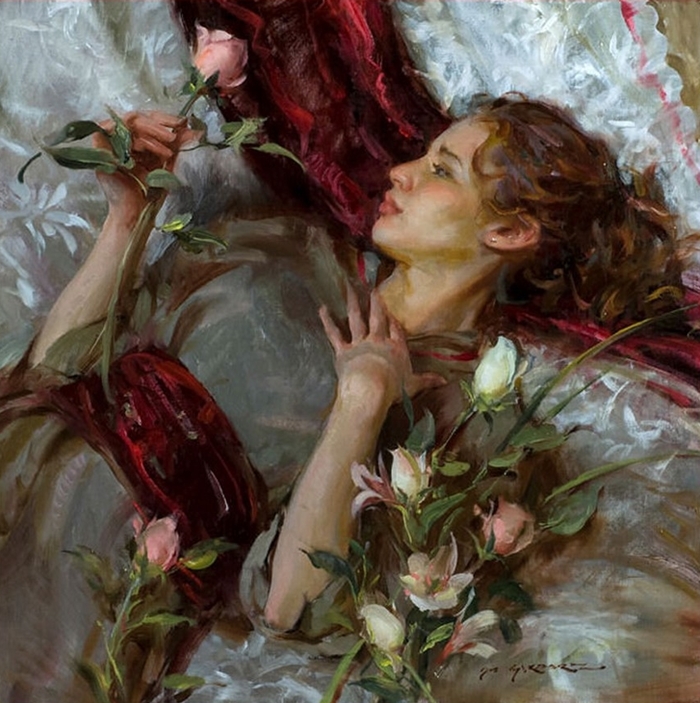 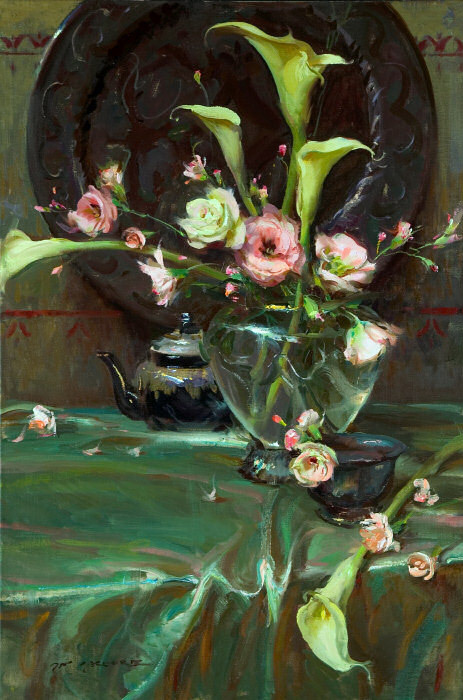 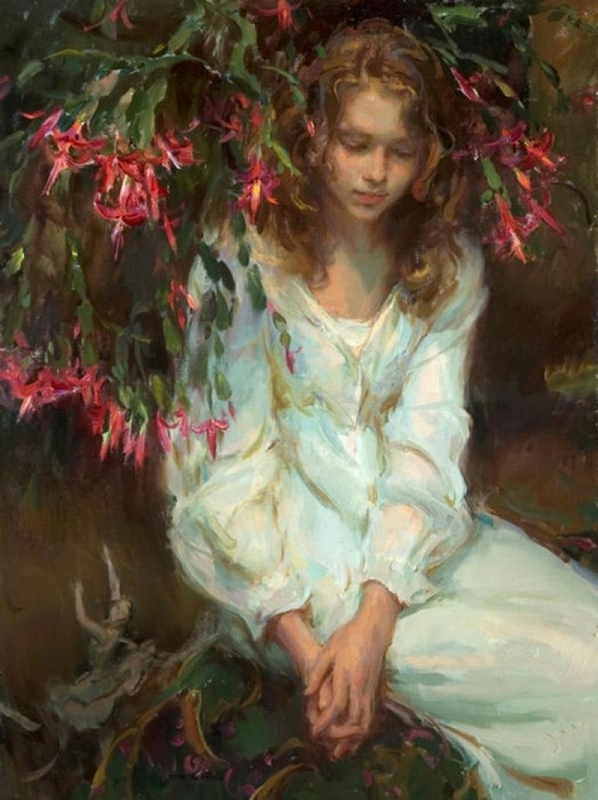 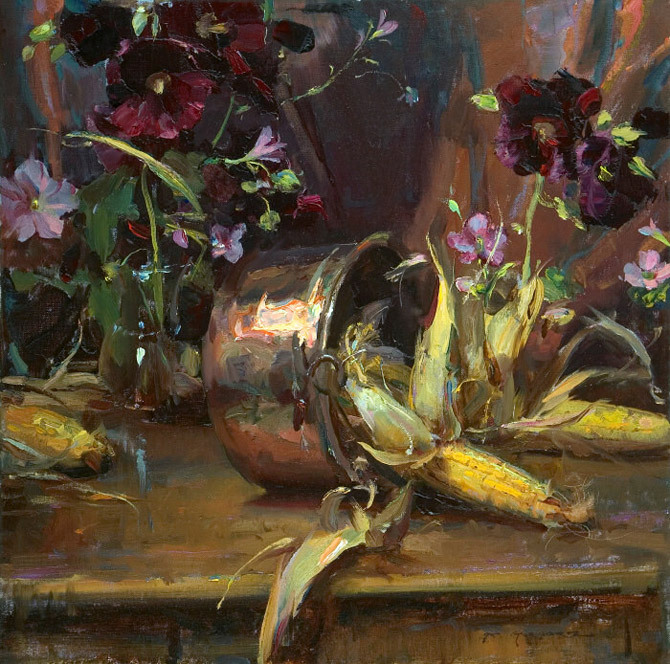 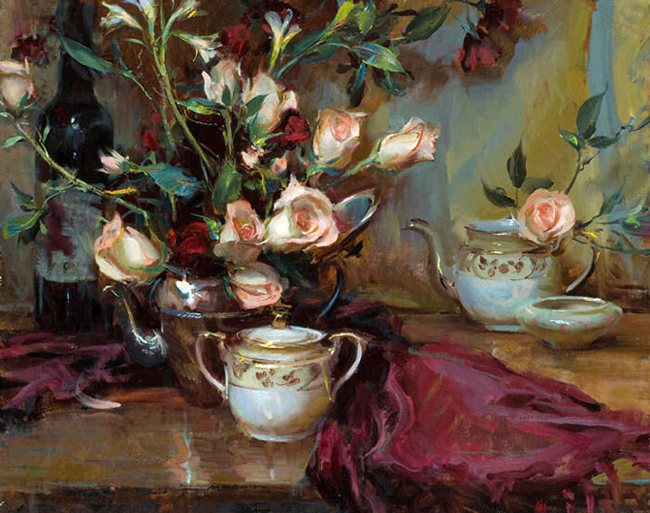 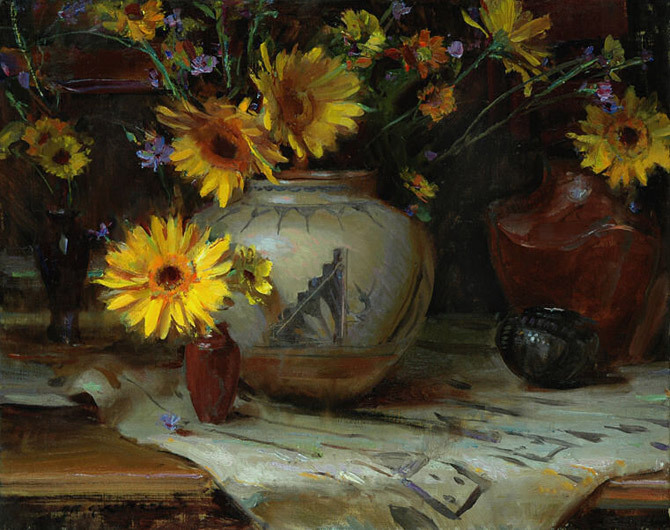 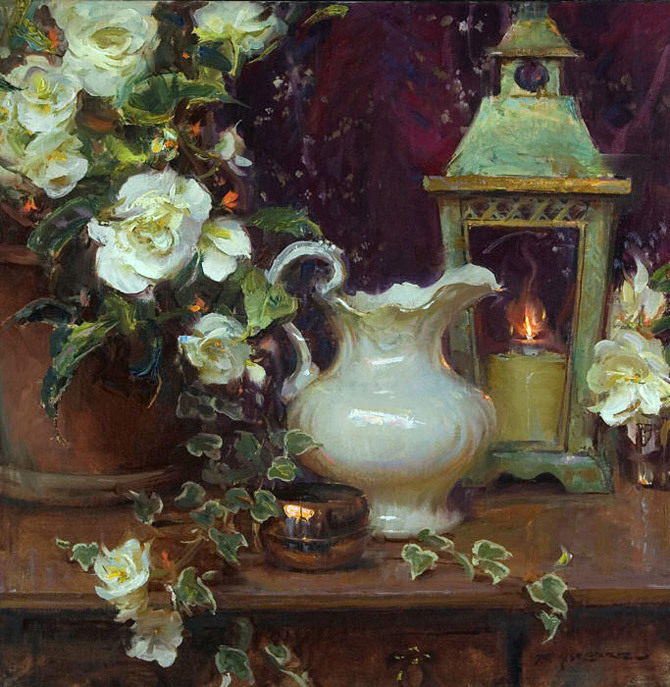 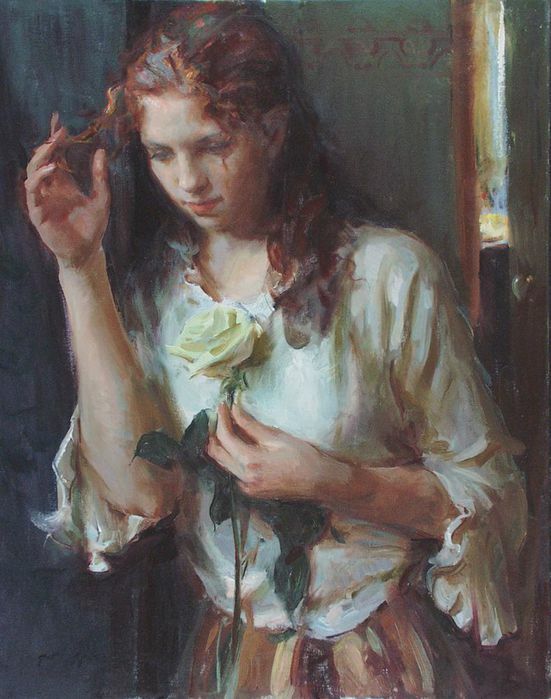 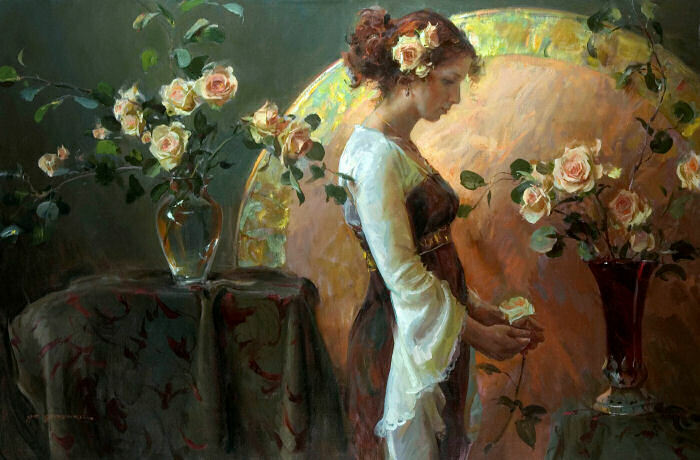 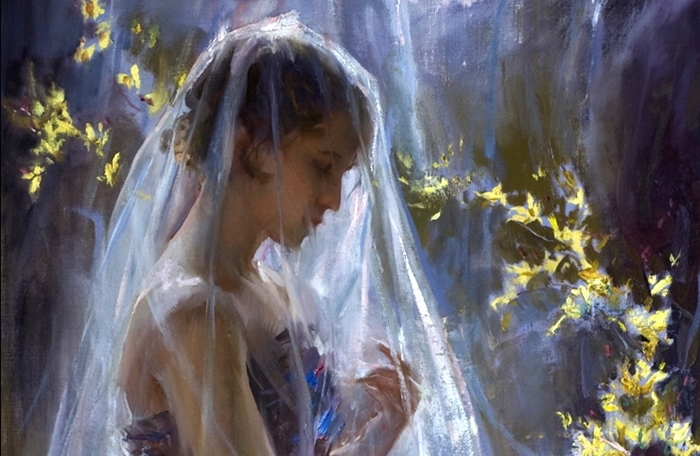 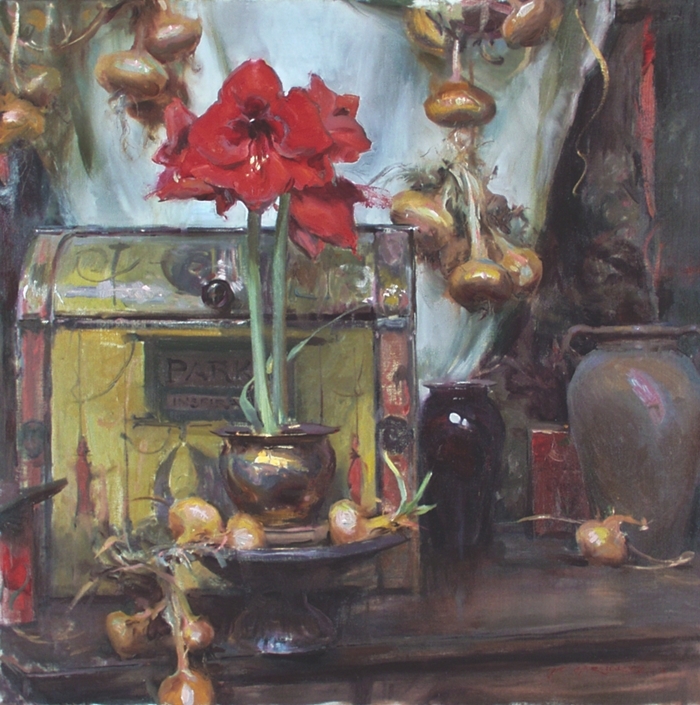 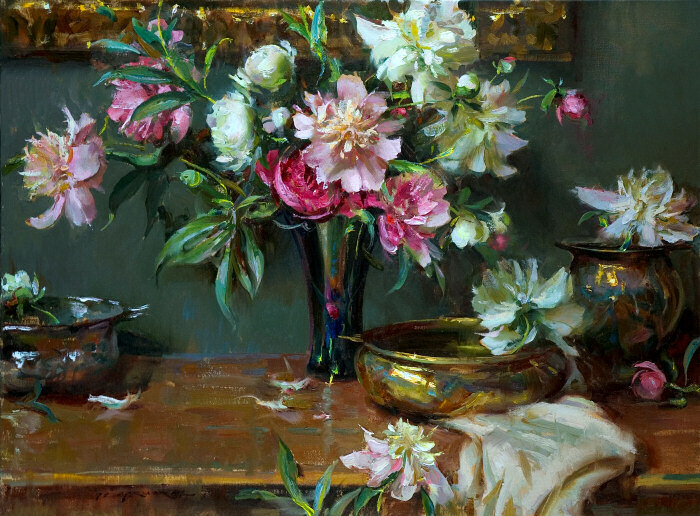 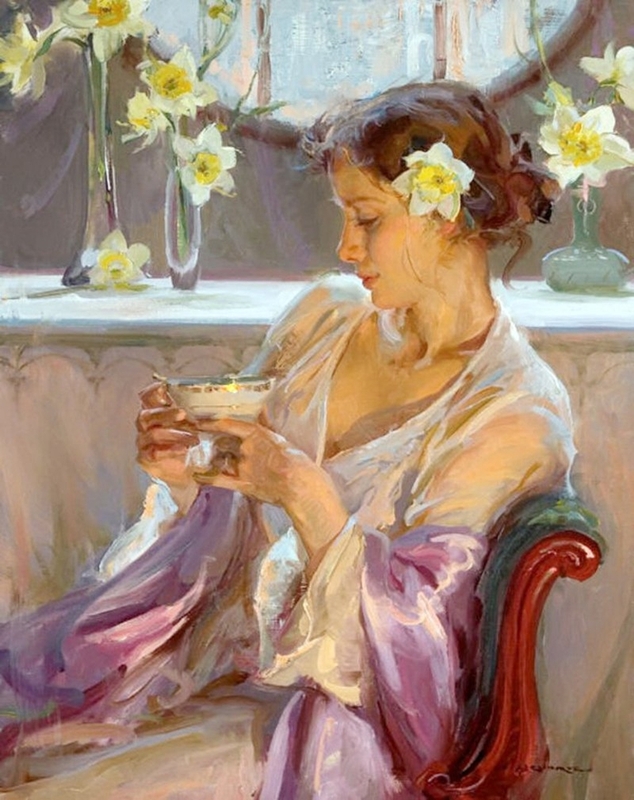 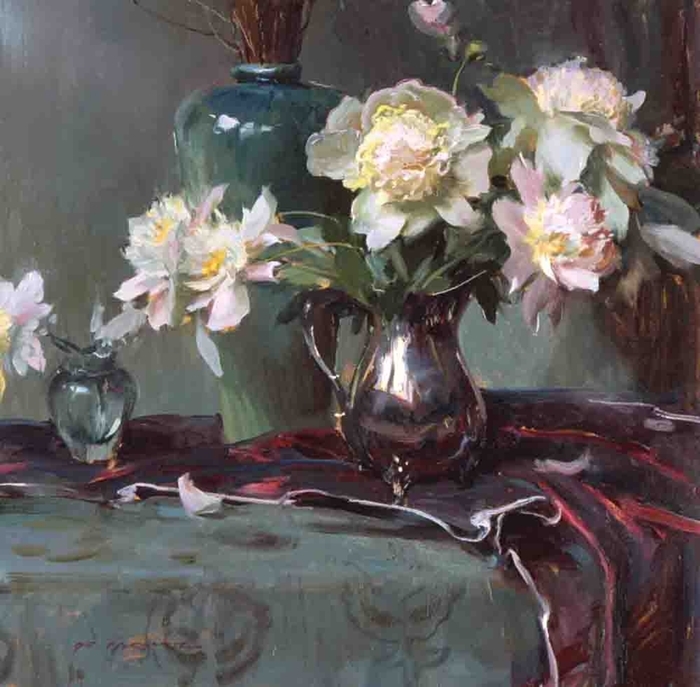 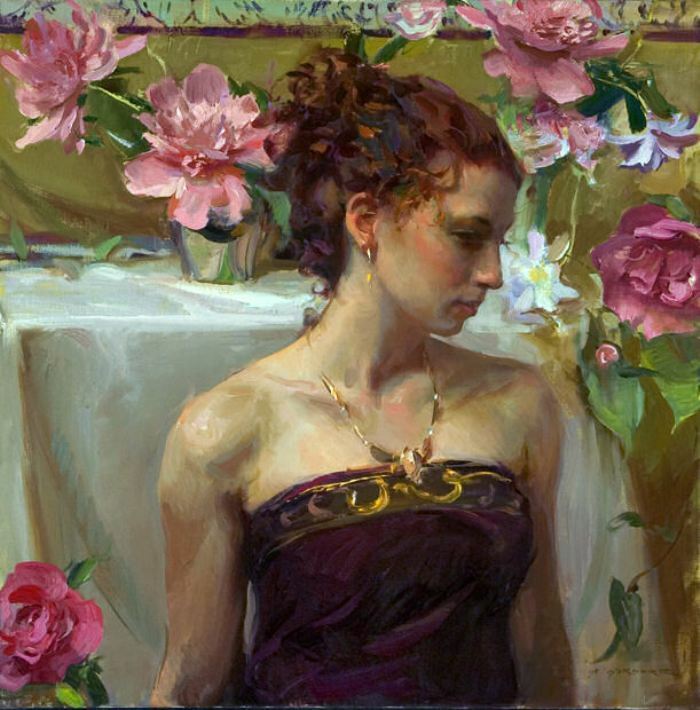 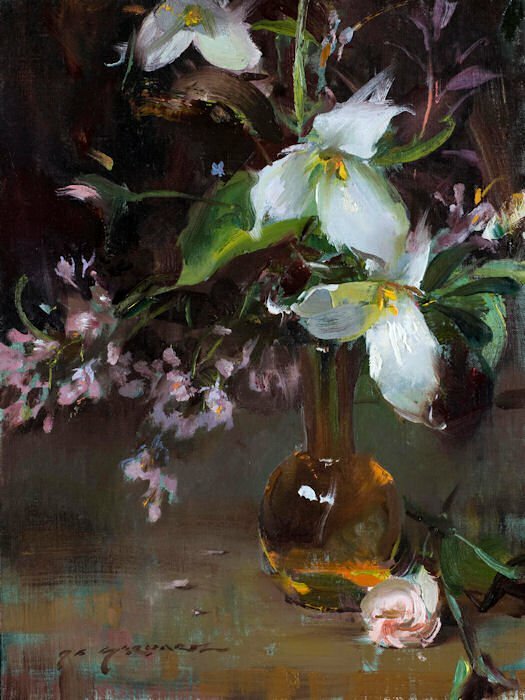 The Daniel F. Gerhartz’s skillful and technically adept work celebrates the created world, the human form, personal relationships with a connection to landscapes and environments of special importance. 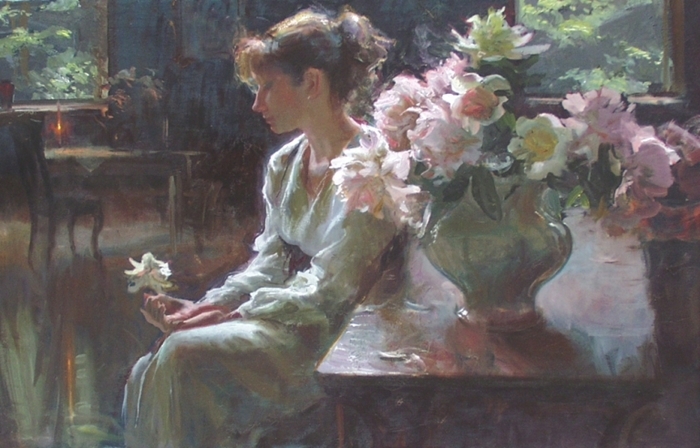 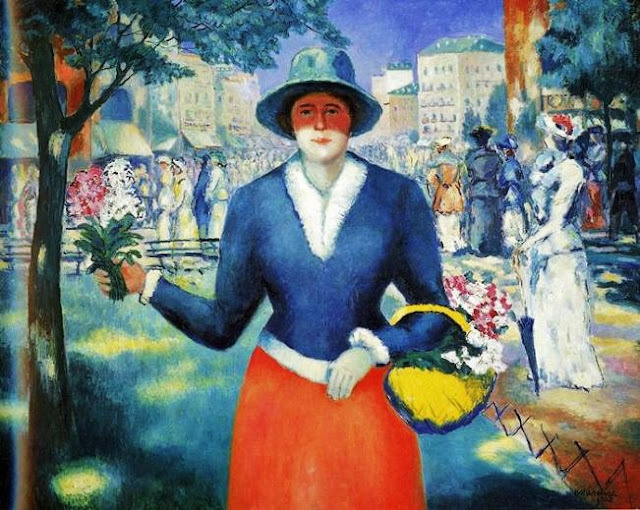 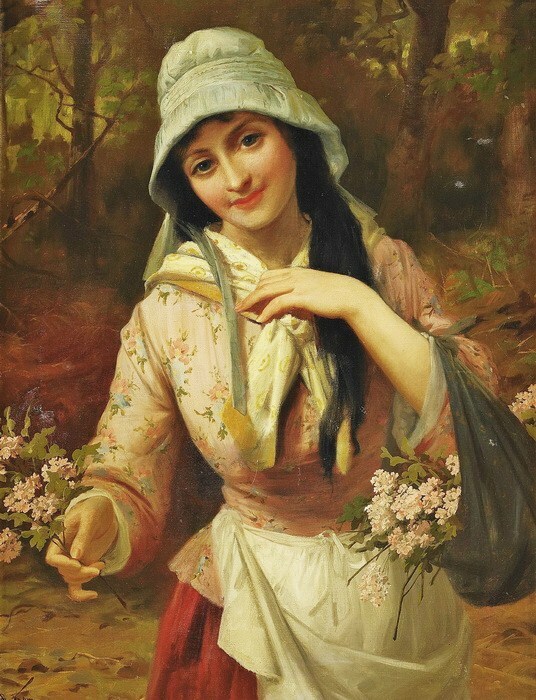 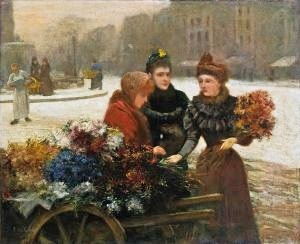 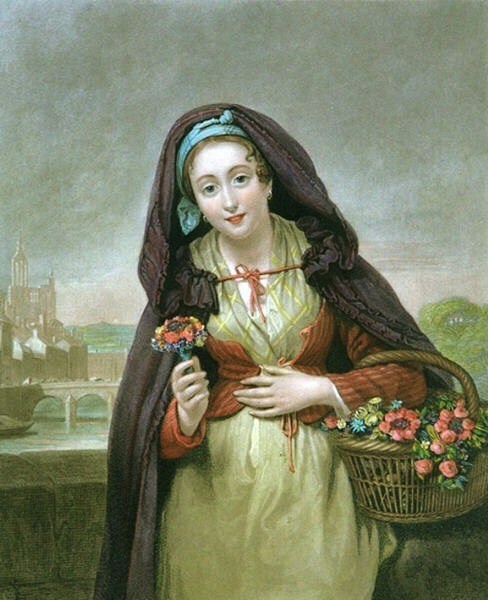 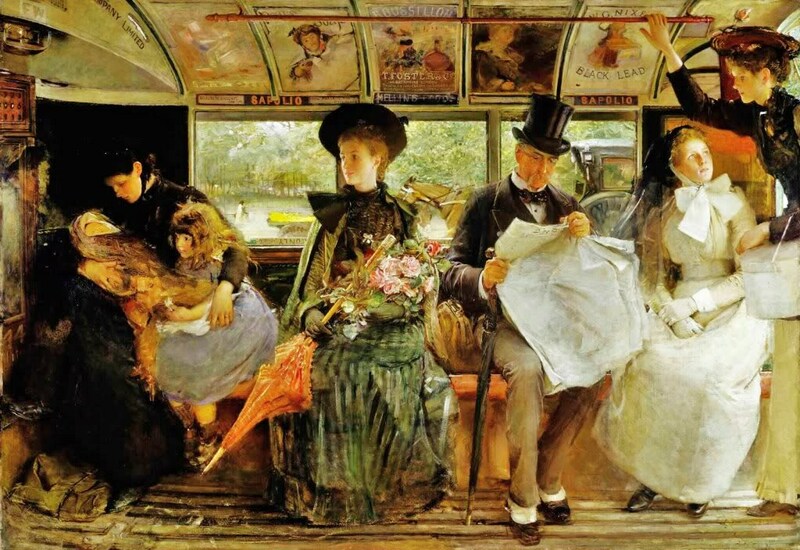 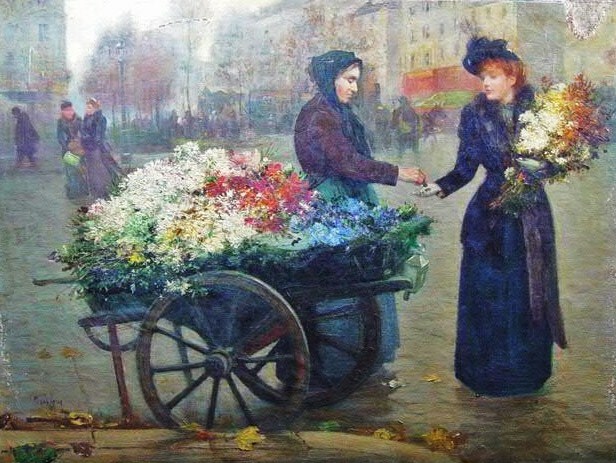 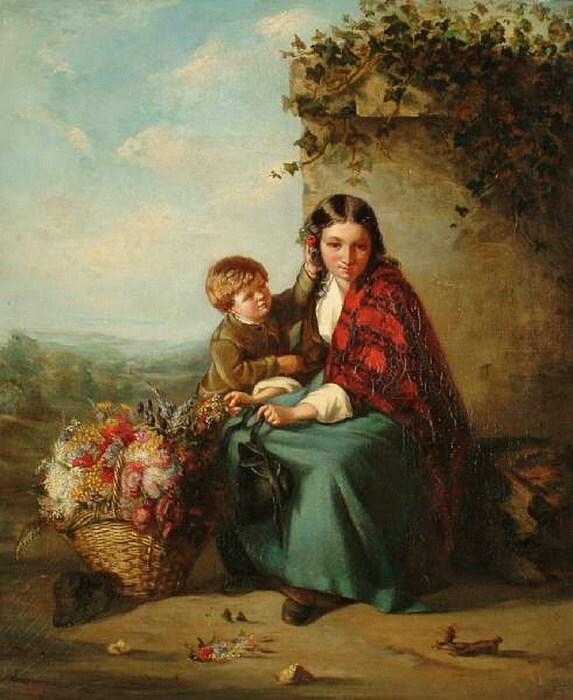 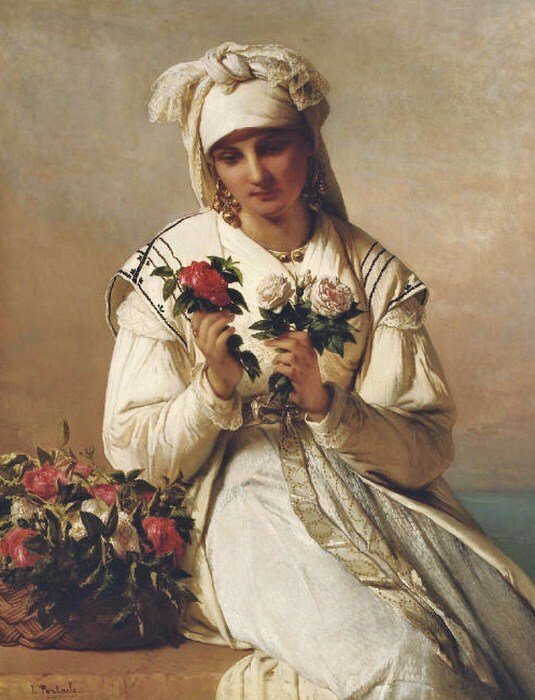 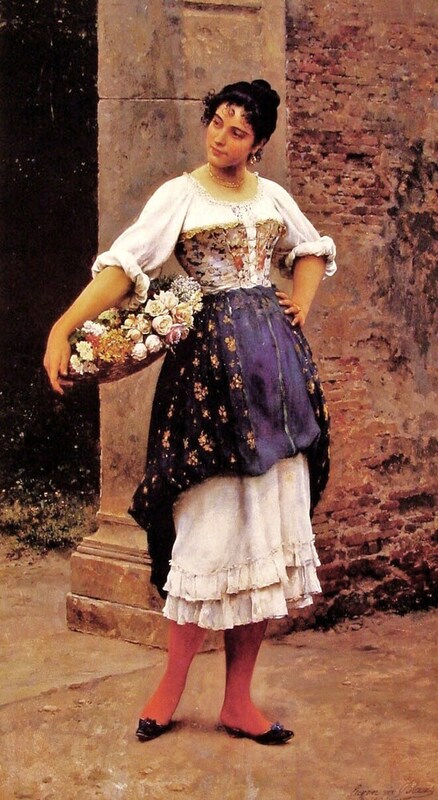 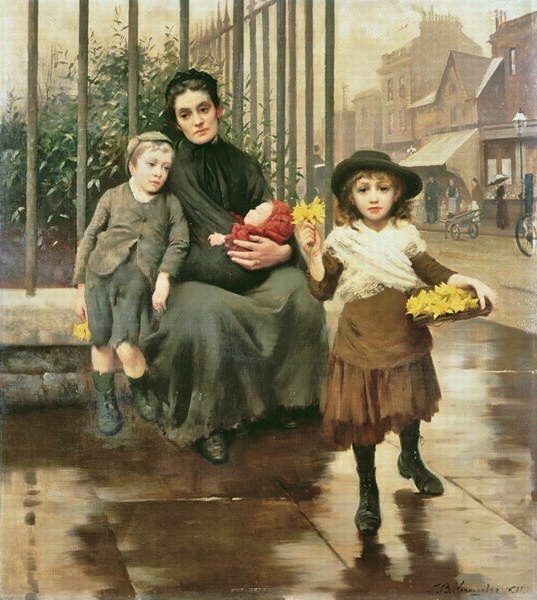 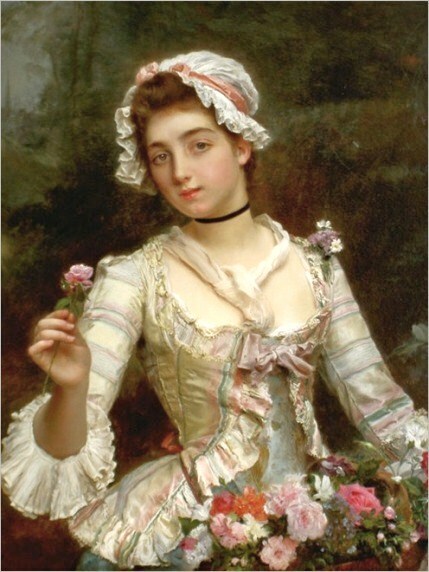 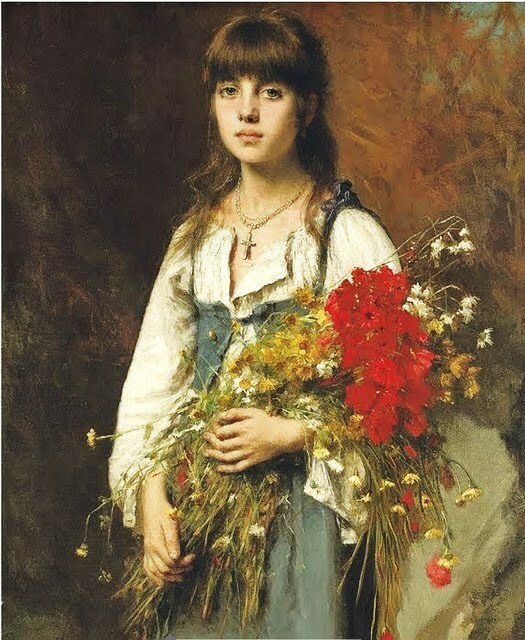 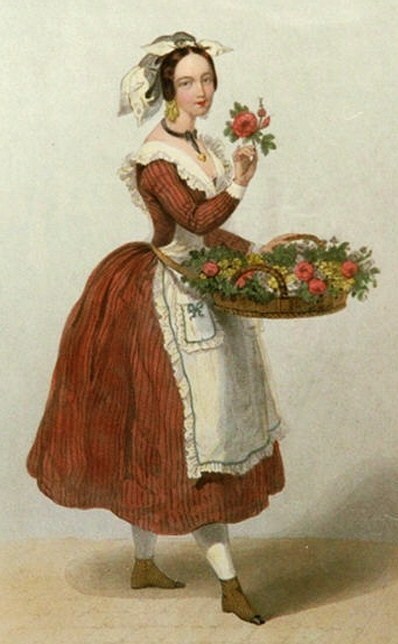 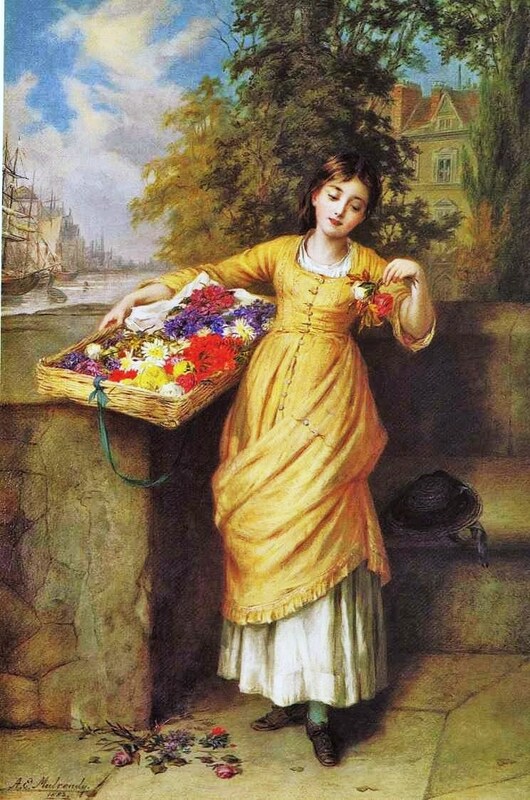 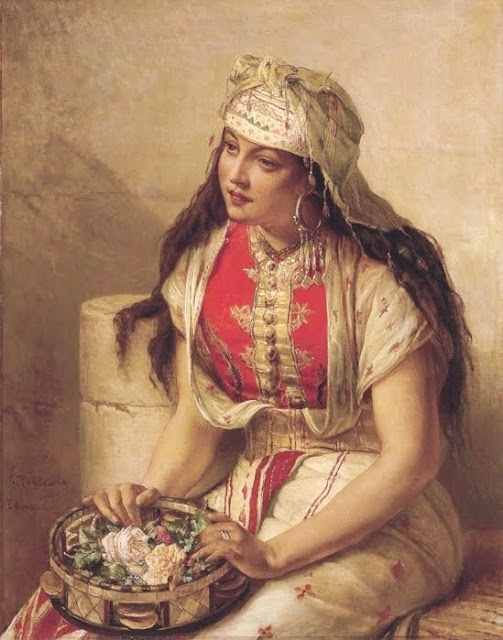 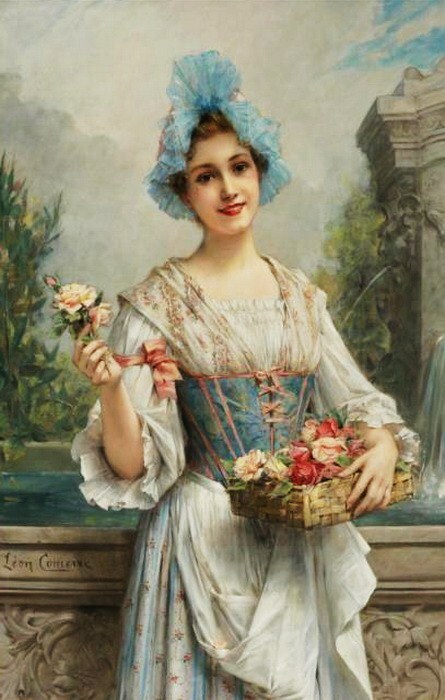 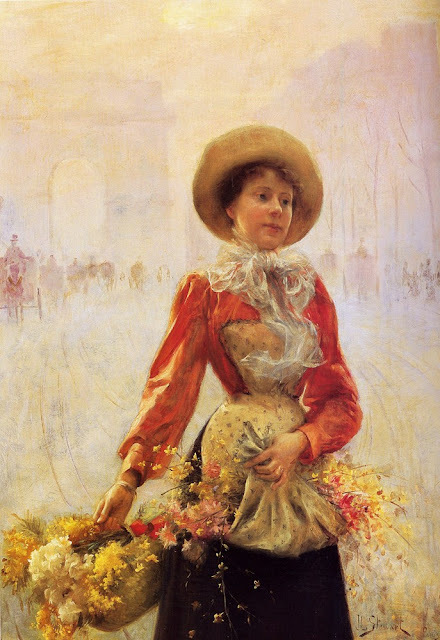 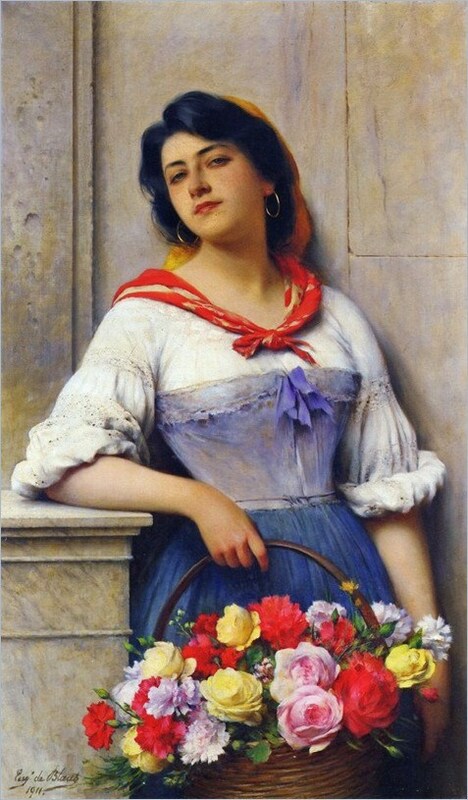 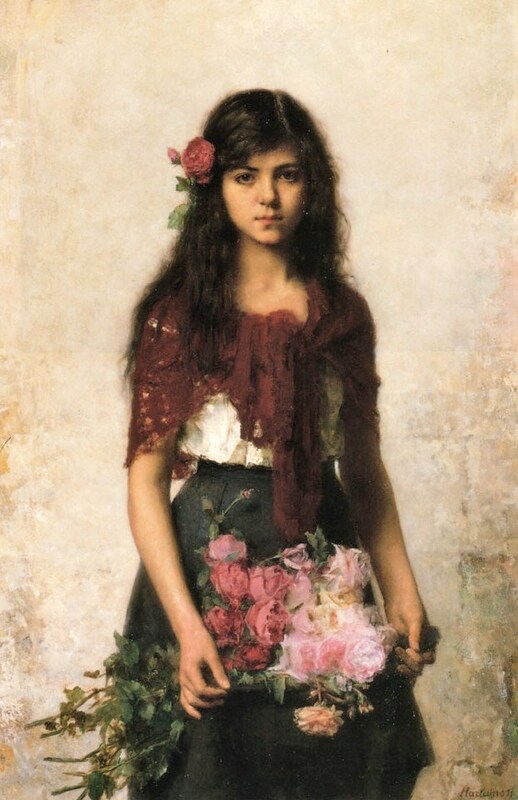 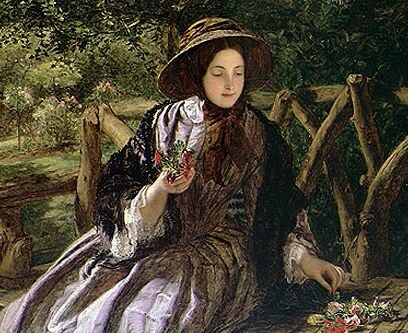 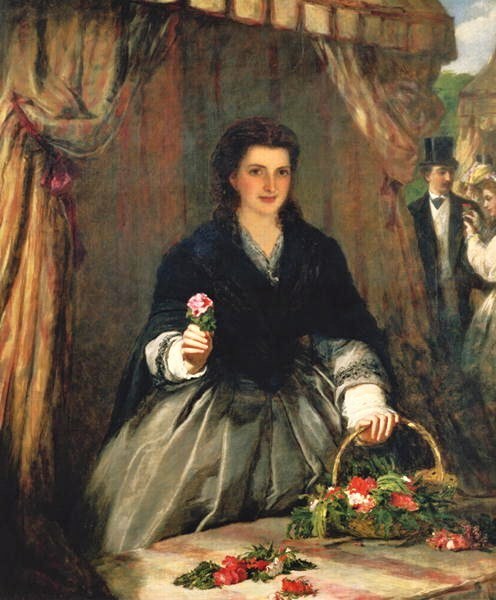 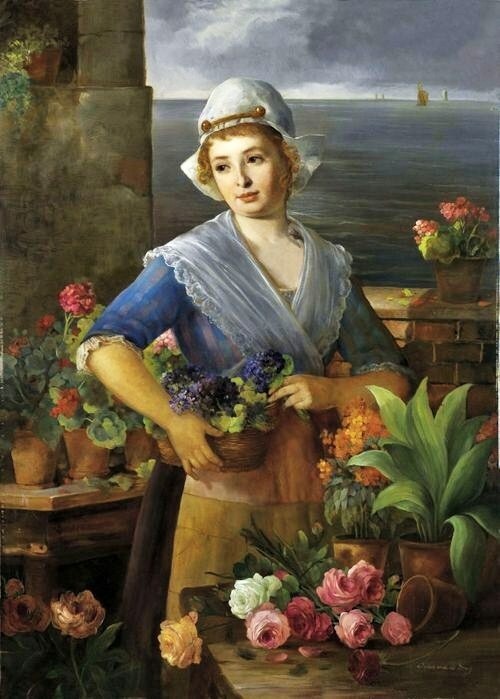 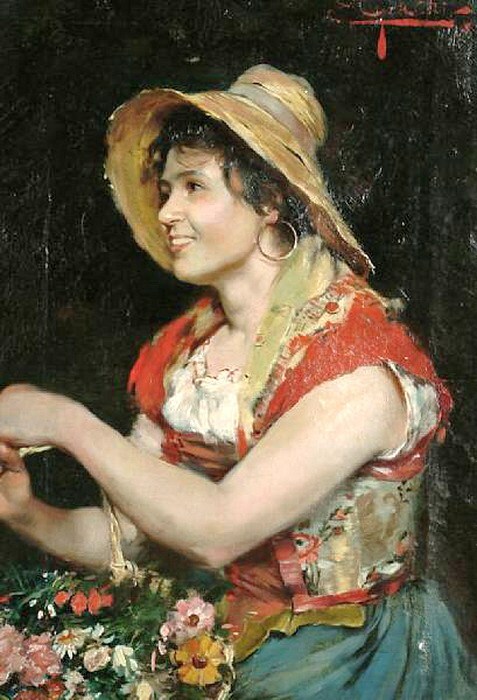 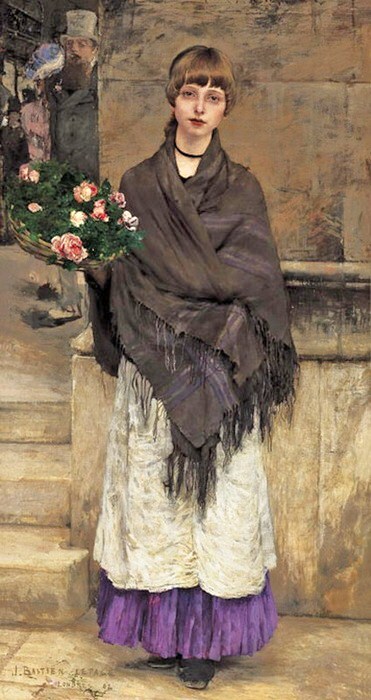 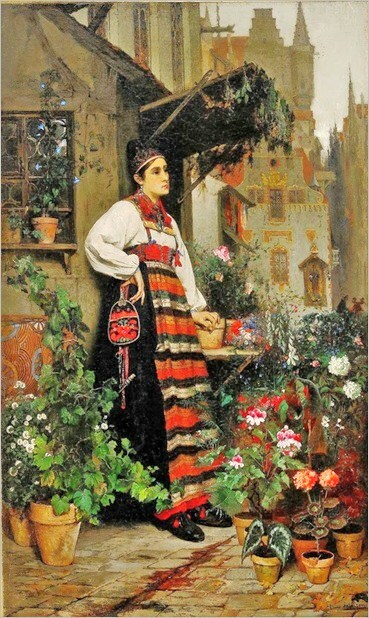 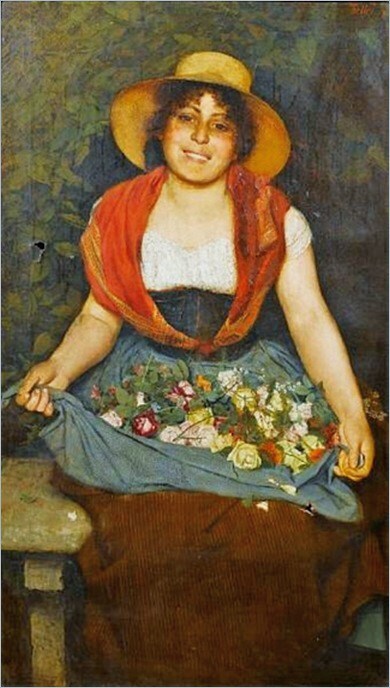 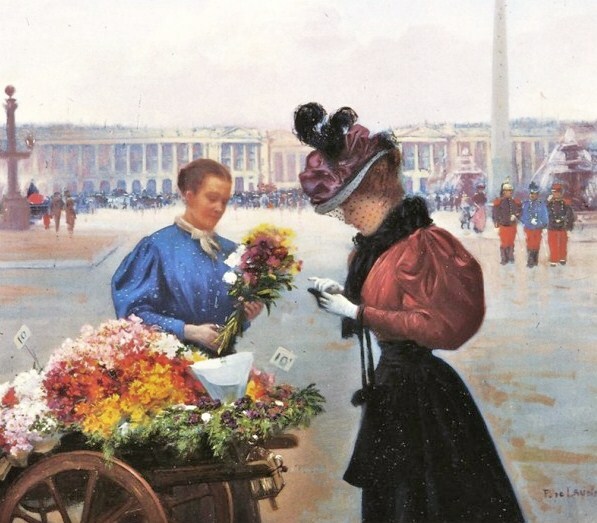 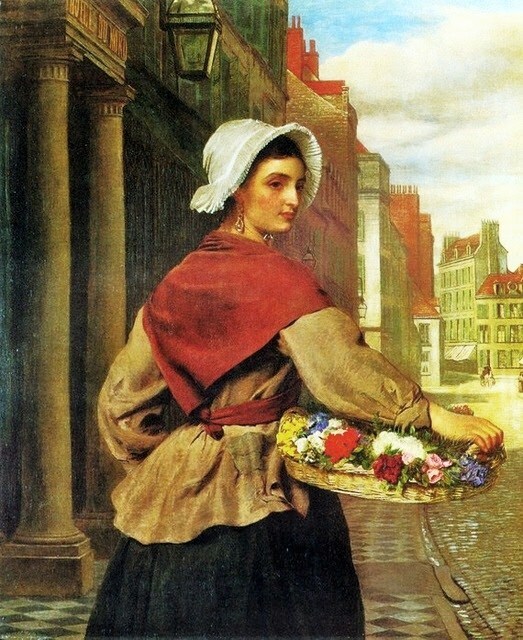 Many of his figures are dressed in dramatic clothing which he often invents for its aesthetic appeal and lyrical quality so as to achieve a sense of other worldliness.. His subjects evoke a timelessness and idealism, yet for the most part Dan has drawn upon his home and community, including family and friends, for subject matter. 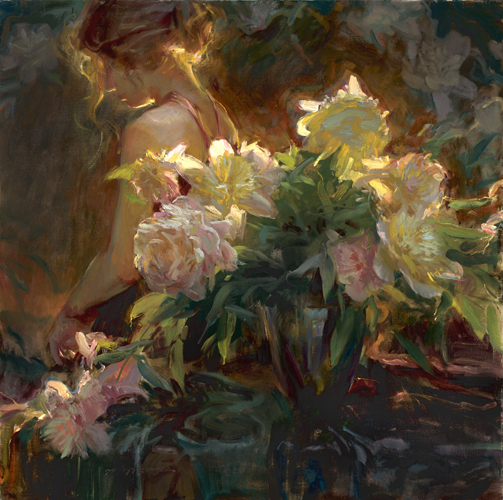 His sense of intimacy and honesty with regard to his subjects are a direct result of his closeness and proximity to them. 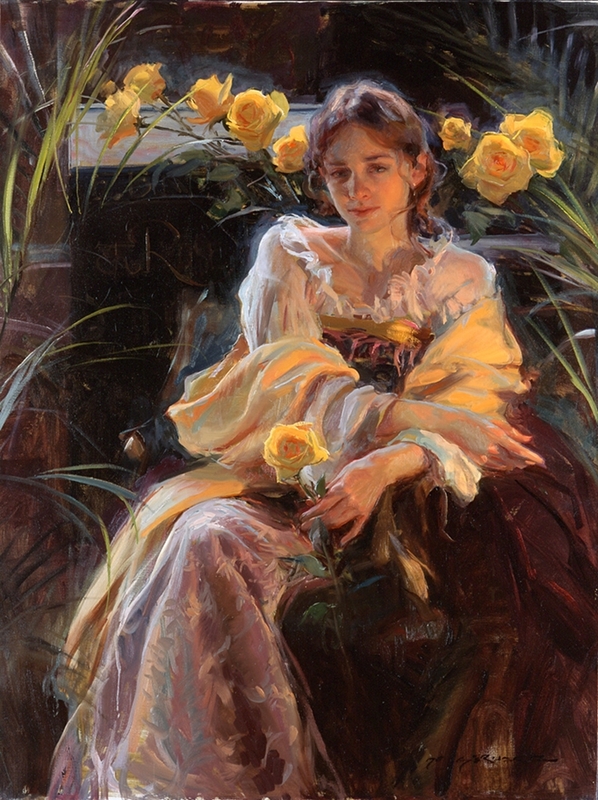 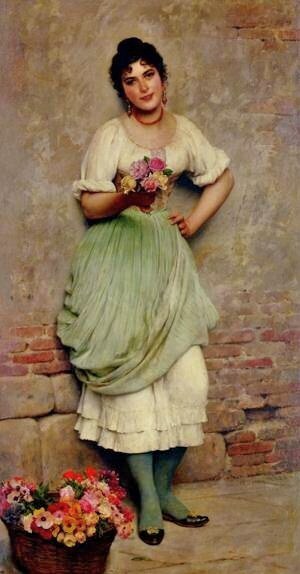 A projection of tranquility, repose and rich introspection result from his knowledge of the content of his art. 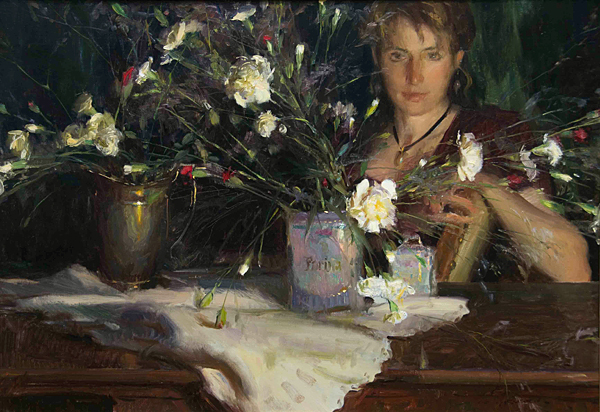 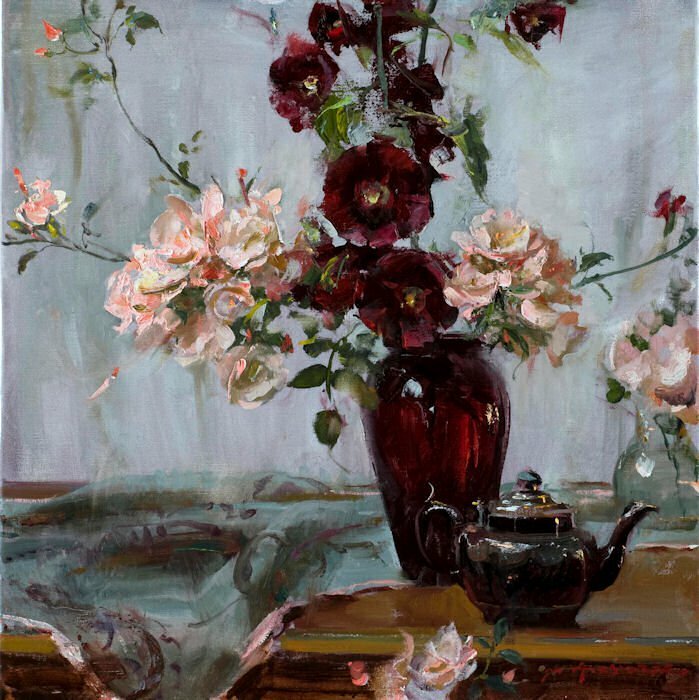 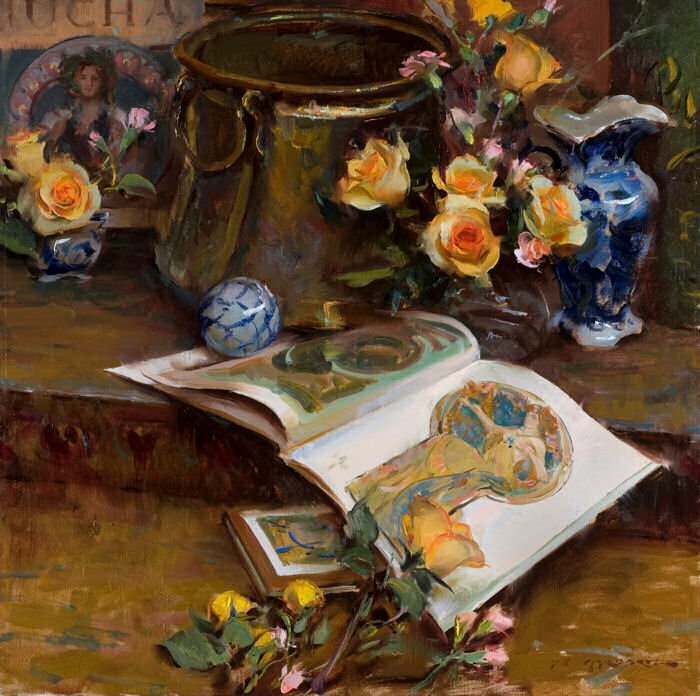 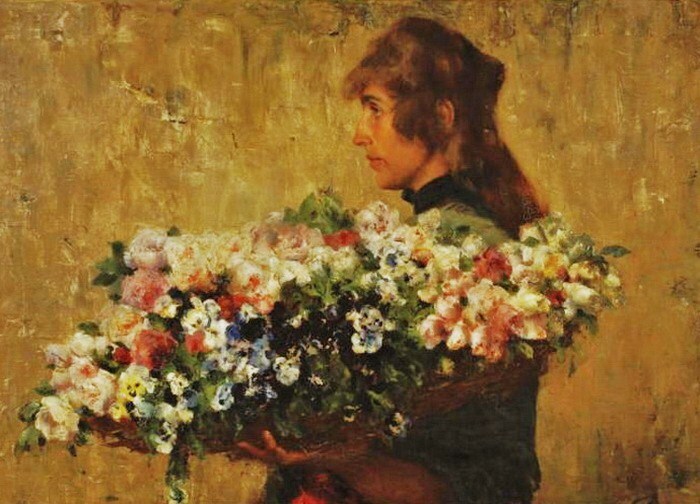 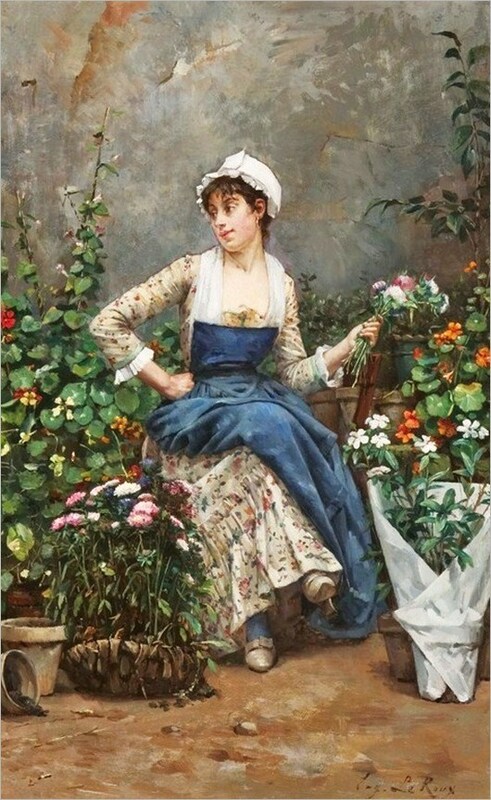 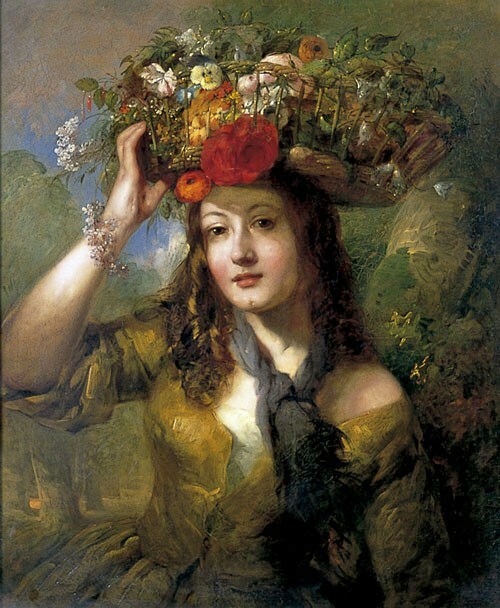 In Gerhartz’ pictures the ordinary or commonplace is transformed into a higher reality and consequently a sense of greater importance. 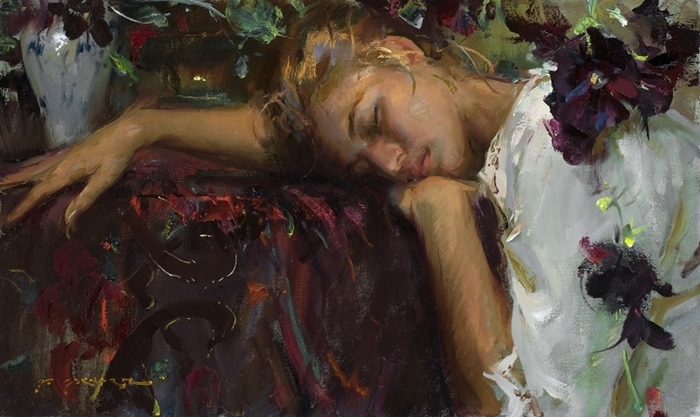 Emotions are a vital part of his express design, while his mastery of anatomy, the human form and complex surfaces combine to make his canvases very powerful visual experiences.